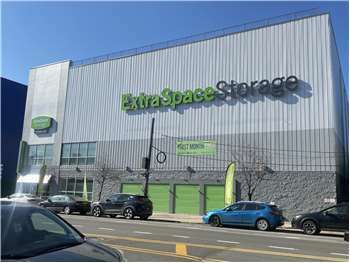 With any 3rd Avenue Brooklyn Extra Space Storage unit rental! Only available at the 3rd Ave Brooklyn Extra Space Storage location. Van available to use within all five boroughs. 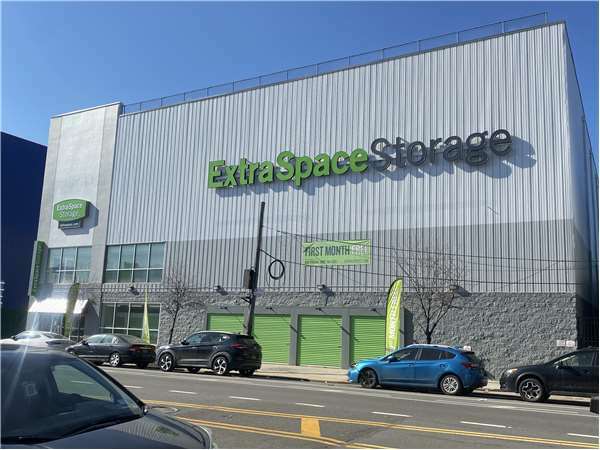 Extra Space Storage is conveniently located in Brooklyn's Park Slope neighborhood. We're easily accessible to residents of the immediate area, but also to surrounding neighborhoods such as Gowanus, Red Hook, and Brooklyn Heights. Local residents will find our location on the corner of 3rd Ave. and 1st St., just a block north of Whole Foods. Residents of nearby apartments, including The Addison and DKLB BKLN, store with us to free up space at home. With a wide range of storage unit sizes and the amenities you're looking for, we can accommodate your residential storage needs! We've been using Extra Space Storage for over 4 years and would never consider going anywhere else. The facility is super clean, safe, and so convenient. And Taryre, Linus, Kevon & Eric are simply the best!!!! The staff in this location are very knowledgeable and helpful. There is also a private parking lot in this facility so you don't have to rush when moving your belongings. We've been using Extra Space Storage for years and would never consider going anywhere else. The facility is clean, safe, and convenient. And Taryre, Linus and Kevon are simply the best! The customer service at ESS is excellent! Also, it's clean, billing is fair, and I never have a problem finding a cart. What more could one desire from a storage facility? Thank you, ESS, not only for helping clear my life of unnecessary clutter, but doing so with kindness and grace. It's a delight dealing with Extra Space Storage. I've been a customer for several years and am always impressed by the helpful employees and secure atmosphere. Your fellow customers always seem to make sure that you can get through the hallways, even on days when they're piling stuff up outside their unit as they get organized. This place is so well-run, it doesn't feel like a chore to drop stuff off or pick it up. You can also have packages shipped here, including ones that are too big for you to lift. I've been storing a studio's worth of furniture and other belongings here for about two months. The reservation and move-in processes were both easy and very professional. Payment is simple, as is buying insurance. It is also easy to access the unit as I please. I am pasting my Yelp review here because it says it all! I have the contents of almost an entire apartment at ESS on 3rd Ave. From the time I rented the unit, I was impressed with the customer service. Well, after Hurricane Sandy, I was a bit worried about my unit as it located in the ESS basement. ESS called me a day after the hurricane passed to say that the basement did take on water and that I should come by and evaluate my unit & belongings. Lo and behold, some of my stuff was ruined. They had new boxes, packing tape, a dolly and a new unit on the 3rd floor ready for me! And the new unit was offered for the same fee as my old basement unit. It was amazing how understanding they were. They even threw out all of my destroyed belongings, took photos of everything for insurance and were CHEERFUL the whole time. I worked with Terri for the most part and she really was awesome. I am very happy with ESS! So far, I've had a very positive experience with this facility. They were great on the phone, answering all my questions, and dealt with the changes I had to make to my reservation quickly and professionally. It's a new building, well-maintained and with plenty of room to bring in your moving truck to the parking lot. Decent security. It seems to be quite clean from what I could see. Dealing with the front desk staff is a breeze - very polite and friendly. There are cheaper places around, but I think this place is worth paying a bit more. ive been to a few storage facilities -- and this one is the cleanest that i've seen. new, well maintained, and so far (i just moved in!) great service. Good customer service, Clean place. I'm very happy and would recommend Extra Space Storage to all my Friends.